Sony has pushed out a frustratingly abstract video in hopes of whetting consumer appetites for its wares ahead of CES. The lady-filled montage appears to be assorted clips of utter randomness at first glance, but on closer inspection mysteries begin to unravel. Sherlock, get in here! Right – pops deerstalker on – let’s get a-sleuthin’. The most obvious inference this trailer has to offer is a clue to the Android 5.0 Lollipop Xperia launch. This is amusingly signalled by a woman hitting the fifth floor button of a lift, then followed by a clip of a girl with a lollipop. Subtle. 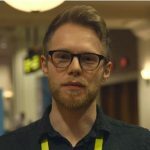 Sony has already outed its plans to push Lollipop to the Xperia Z series of devices early next year, but this video could be trying to hint that CES 2015 will mark the update’s release. While some handsets adopt the standard Android ROM, Sony is amongst a growing list of smartphone manufacturers that tinker with the software and add in their own features. A particularly interesting re-skin of Android Lollipop could definitely warrant a CES debut. We also get a title – ‘Welcome to the New World’ – pop up towards the end of the video. Whether this runs any deeper than the obvious ‘new stuff coming’ connotations remains to be seen, but any clues hidden within the title will surely be unveiled within the coming days. Eagle-eyed viewers will spot the profile of what looks like a very thin screen near the start of the video, which could signal either a mega-svelte TV or the much mooted Xperia Z4. The Consumer Electronics Show runs in the second week of January over in Las Vegas, so at least we don’t have to wait long to uncover the meaning behind Sony’s brain-frazzling teaser trailer. If you think you’ve cracked any of the clues, let us know in the comments below!